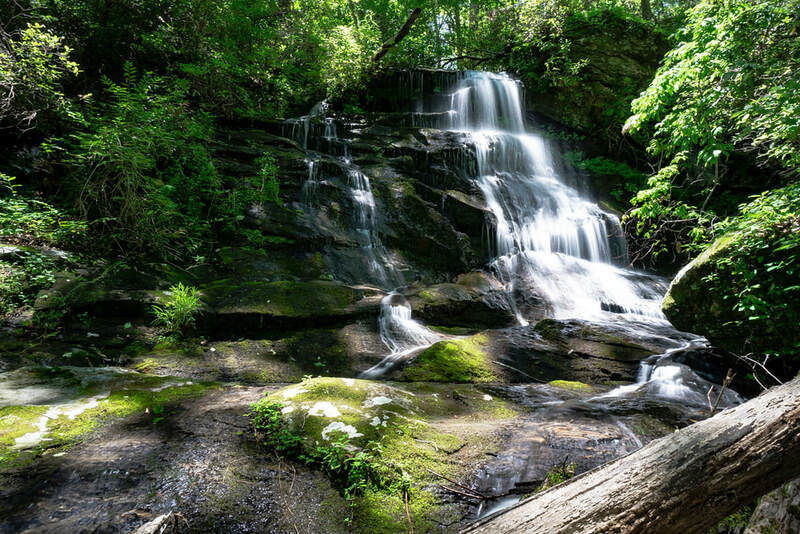 Waterfall Info: This nice waterfall is on a small tributary of the Middle Fork Broad River tributary with Tabor Falls and Hidden Cove Falls. It's the upper of two waterfalls on this tributary. Even though the falls seldom has high flow, it's still a scenic spot. Best seen in wet weather. Access Info: This waterfall is accessed via the unofficial Tabor Falls Trail from FS 89A and Sellers Road. However, to get to the waterfall, you'll make a rather tough bushwhack up the tributary of the Tabor Falls stream. You'll reach Tranquility Falls first, which is much easier to reach.